What a ride – with a seventy-one year old and a ten year old on the road together in Texas soon after the Civil War. Paulette Jiles’ short book – News of the World – has the fast paced adventure of an old Western. When Captain Kidd agrees to deliver a young blond girl back to her German family in San Antonio, he creates an unlikely partnership. Captured by the Kiowa tribe when she was six years old, the girl only knows the ways of her adopted family. She speaks no English and bridles at the uncomfortable clothes she is forced to wear. Captain Kidd, a seasoned army sergeant and former printer, works like Mark Twain on the road, reading newspaper stories on stage to the interested and illiterate, as he tries to make money in his retirement. Although the girl, named Johanna by the Captain, is wary and angry, her intelligence and skills in tribal warfare help the Captain overcome their first adversaries, men from another tribe intent on capturing and selling her into child prostitution (“blond girls are premium”). As they continue their journey, Johanna and Kidd bond, with her calling him Grandpa and he protecting and teaching her through a series of adventures – some humorous, some frightening. The plot line is direct and Jiles provides a satisfying ending, but Jiles’ vivid descriptions are the real story. Her historical notes of the unrest and hardships after the Civil War immerse the reader into another time – the wild West just as it is beginning to develop. Through the relationship between the Captain and the girl, the author cleverly reveals their two disparate backgrounds, while maintaining the common denominators of human kindness and priorities for values worth having. The News of the World was a finalist for the 2016 National Book Award. 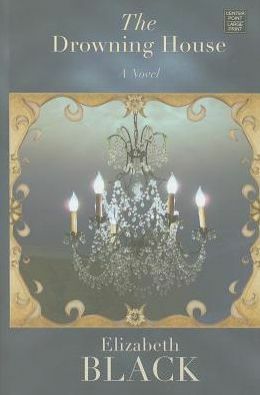 At first, I thought I was on the posh set of the old television series Dallas with its rich spoiled young matrons prancing about the country club and gossiping, but Anton DiSclafani’s The After Party is set in Houston and the lives of two friends reveals more than garden party chitchat. The story is set in the nineteen fifties, neatly using the stereotype of the woman’s role at home and in society to underline the structured lives of the two wealthy main characters – both named Joan. Friends since their first day of school, Joan Fortier and Joan Cecelia (Cece) Buchanan grow up together in Houston’s debutante society. Cece willingly gives up her first name and her independence to follow in the shadow of the more beautiful and daring Joan. Just as she did in her first book, the Yonahlossee Riding Camp for Girls, DiSclafani simmers her tale for many pages before bringing the plot to a boil with the big reveal of a devastating secret. The girls’ lives seem shallow and insulated as they meander through parties and bars, more concerned about the latest fashion than the news. Chapters alternated between the lives of the young girls as they grow into teenagers and their lives as twenty-five year women in Houston society. Some secrets are revealed – the cause of Cece’s mother’s death; others are tantalizingly dangled until the end. Throughout the story, Cece, the narrator, assumes the role of protector and savior for her best friend Joan, obsessed with wanting to be with her, even after Cece is married and has her own child. Cece becomes consumed with wanting to know everything Joan is about, yet she never really succeeds. After a while, you will want to shake her and tell her to get her own life. Joan, on the other hand, is the mystery – publicly the most popular girl, attracting the gossip columnists by her prominent place in society and also by her antics, and privately unhappy with her superficial life. Her periodic disappearances may give a clue to her attitude, but the big reveal affecting her life is not until the end of the book. Somewhere around the middle of the book, I got caught up in the characters’ lives and realized the substance of the plot was deeper than an historical commentary on big-haired Texans over sixty years ago. The relationships were the key to understanding the times, not only from the ladies who met weekly over cocktails to the husbands who worked or inherited money in the oil industry, but also to the trusted servants – chauffeurs who saw everything but kept silent and housekeepers who raised the children. Family relationships are strained through the generations, especially mother and child. 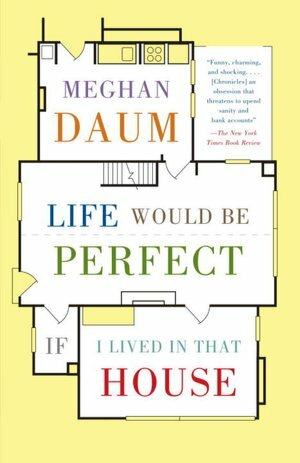 Joan’s mother fits neatly into the controlling authority who tries to manage her daughter’s life – her public persona anyway – and magnanimously takes in Cece to live in the Fortier mansion after her mother dies. Cece never has a close relationship to her mother, who dies when Cece is fifteen, but inherits millions from her and spends it all on fashionable clothes. But the most curious is Cece’s mothering of her preschool son, Tommy, who does not speak nor look anyone in the eye. His tendency to autism is ignored by both parents as they concentrate on Joan instead. Galveston, Texas has always had the aura of the old wild west for me, but Elizabeth Black’s Gothic mystery – The Drowning House – reveals a sophisticated old city on a barrier island that reminded me of the Outer Banks of North Carolina. The story mixes tragedy across decades, with the devastation of the Great Storm of September, 1900 as the historical backdrop. Still despondent from the accidental death of her six-year-old daughter, photographer Clare Porterfield returns to her childhood home in Galveston to organize an exhibit from the town’s archives. Galveston has the flavor of the deep South, not only with the oppressive heat and humidity, but also with the hierarchy of old family ancestry that separates those BOI (born on the island) from the tourists and outsiders. At times, the pace of Black’s novel seems overwhelmed by the heavy atmosphere as the family secrets slowly unravel. The Carraday family and their historic house form the base for the tangents of grief and mystery. Local lore suggests that Stella Carraday drowned in the Great Storm that swept the island at the turn of the century; her hair was found tangled in the immense chandelier in the family mansion when the water level submerged roads, houses, and any escape from an overrun causeway. Clare’s family home sits next to the Carraday house; her connections with the Carraday family, especially Patrick Carraday, her childhood soulmate and partner in juvenile pranks, hide the secrets that Black teases the reader with throughout the narrative – something sinister is lurking beneath the gracious veneer and hospitality. How did Stella really die? And why were Clare and Patrick sent away as teenagers to live apart from their families? Eventually, all is resolved in an unsurprising ending, but with a few shocking revelations along the way. Black’s style reminded me of Carol Goodman – author of The Lake of Dead Languages and Arcadia Falls – that same dark Gothic flavor, but with a much slower pace. It took awhile to become engaged in the story; I found myself distracted by the finite descriptions of the place and the melancholy of the narrator. Luckily, the pace suited my mood, and I enjoyed the tale, while learning a little about a piece of Texas I had not encountered before. What if you could go back in time, what would you change? 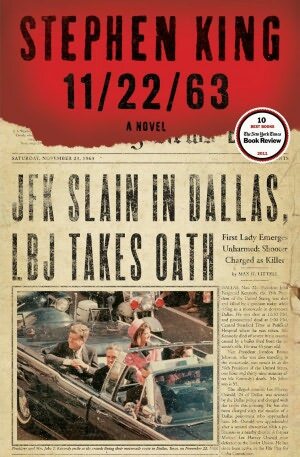 Stephen King adds clever twists to the well-worn theme of time travel in 11/22/63 – but it takes a long time to get to the end – almost 900 pages. Stephen King’s talent for drawing a seemingly normal scene, with strange characters that are just a little off, and a plot that continues to change and surprise – sometimes terrifyingly – works well with the possibility that the world could be a better place, if only some painful history could be erased. Although this is Stephen King, don’t expect the horrors along with the casual innuendo – this tale is full of suspense and history and as strange as he usually writes, but not full of the usual terror. Jake’s appreciation of the food and the life style of the era will have you yearning for a root bear and real cream in your coffee. While King plays with the familiar history, he adds the humanity that keeps the story suspenseful. On a trial run to change the local janitor’s past, Jake tests his capabilities, armed with the knowledge of the brutality that is about to happen in the janitor’s past. When he returns to the diner, he finds he has changed history but the “butterfly effect” created consequences. Jake’s investigation follows Lee Harvey Oswald, but Jake’s love affair in the past with a beautiful dark-haired librarian with her own secrets, and his increased connection to people and places as they morph into an eerie combination of both worlds, will keep you reading. How does it turn out? Does he make a difference – change history? Could he return to 1958, now changed with the new life he’s invented? Throughout, time is the enemy and the controller; in the end, King has not only decided the mystery behind the assassination (as he invents it), but also offers a thoughtful treatise on life, love, and relativity. I won’t spoil the journey by telling you the details, but the ending is both romantic and jarring. At times, the descriptions and narrative are overdone, and King could have told the story in a shorter volume. The book seemed to go on and on, but I got to a point of no return and could not stop; the key action is riveting and makes up for some of King’s meandering. Though not a fan of Stephen King, I ploughed through this thick tome, and was not disappointed – suspenseful and provocative – with a good story and even better hypothesis on fate and time.